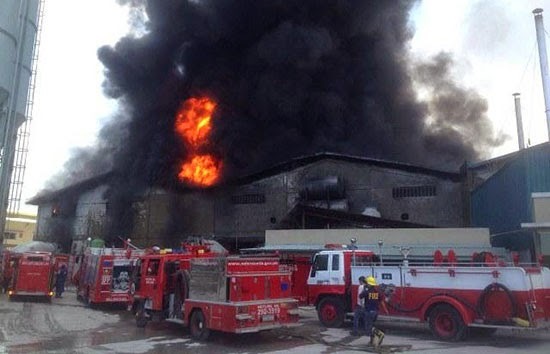 The Bureau of Fire Protection (BFP) confirmed the news that there are 32 factory workers trap and killed at the second floor of the rubber slipper factory in Barangay Ugong, Valenzuela City. The fire started before Wednesday afternoon, May 13, 2015. According Rex Gatchalian, the Valenzuela City Mayor that there are 65 people missing from the factory incident and that was also the collected numbers of the local social welfare department. The reason behind the deadly fire gutted a rubber slipper factory was started from the fire of chemicals that spark and begin to flame due to welding machine inside the warehouse. Until now, they still investigate the area and looking for more fire fatalities. Gatchalian said, "Noong tinanong ko 'yung may-ari, hindi nila tayo masagot kasi nasunog din ang logbook nila. So, hindi nila alam kung ilan ang nasa loob. Pangalawa, 'yung foreman na nakakaalam kung ilan ang naka-shift, nasa loob din." He added, "We will need professional morgue assistance para ma-identify 'yung mga katawan. 'Yan ang ginagawa namin, ma-identify ang mga labi para naman matahimik ang pamilya at malaman nila kung ano na talaga ang nangyari sa kanilang kapamilya." In a separate report of GMA News, BFP director Chief Supt. Ariel Barayuga said that there are 28 dead people found inside the building warehouse. For more update about this news, please bookmark this page and kindly share to your joined social networking sites. 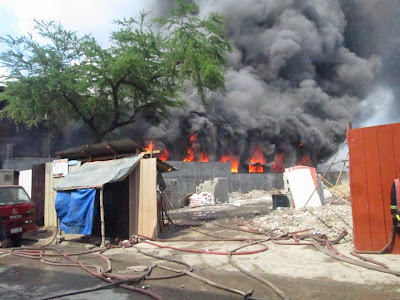 Comments or suggestions about "32 killed workers in Tsinelas Factory Fire at Brgy. Ugong, Valenzuela City" is important to us, you may share it by using the comment box below.